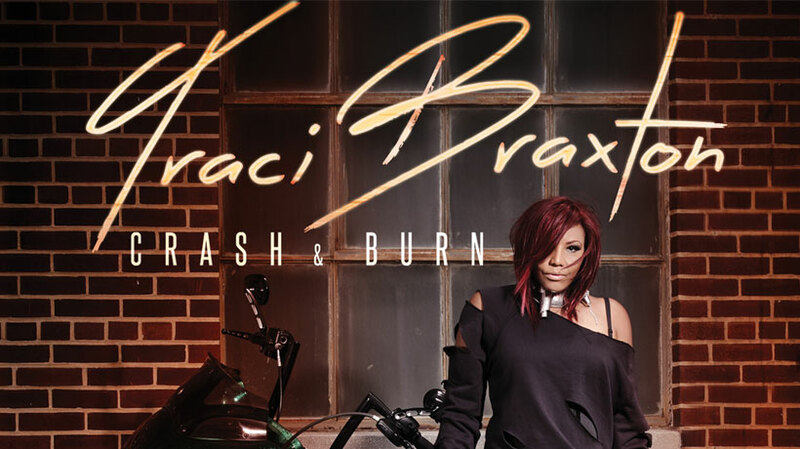 On Crash & Burn, Traci Braxton finally steps into the limelight and produces an album that showcases her vocal prowess. The album doesn’t stray far from what is expected of an adult contemporary R&B artist, but it is remarkably well crafted. I had the wonderful opportunity to interview her prior to the album’s release, and in the interview, she beamed about being able to make the music she’d wanted to make for so long. No longer is she “the wannabe” or a “doo wop pop chick;” Traci Braxton is in the front, and (apparently) loving it. Traci Braxton manages to have zero duds on her 11-track set, with a few songs shining above the rest. Sonically, it balances from “traditional” R&B to more contemporary. For instance, “Stay Sippin’” featuring Raheem DeVaughn is 100% radio ready. Braxton’s and DeVaughn’s voices complement each other well as they drown their sorrows in bottles of liquor. And “Last Call” is incredibly sleek, a perfect choice for lead single. On the traditional side, “What About Love?” serves as a vehicle for Braxton to flex her vocal muscles and shut down any naysayers. “Perfect Time” reaches back to the 90’s grown folk music, where every song was dripping in sexual innuendo, and Braxton’s sulty alto lends itself nicely. Then there is “Reasons” which could have been straight off of sister Toni’s album Secrets. Perhaps that biological connection is what makes the song suit her so well. However, the title track “Crash & Burn” is the centerpiece of the album. It crystallizes Braxton’s current career trajectory, chasing your dreams even at the chance of complete failure. The delicate ballad finds her in a vulnerable place, trying to spread her wings as those around her want to keep her safe on the ground. The song builds throughout from a simple, quiet piano to soaring, triumphant strings. Traci Braxton has made a notable debut album. She more than proves herself as a singer in her own right, and has taken major inroads towards being a player in the field of “grown folk music” crowd. The only major issue with the album is that there isn’t much wrong with it. For an album titled Crash & Burn, there aren’t many chances taken here. That is where she faltered. Still, what she has presented is a strong introduction to Traci Braxton the soloist, and a statement that she can do things on her own.